Dress improperly and be prepared for a miserable day on the water. Too hot, too cold, too wet – it’s all bad. I’ve had the opportunity to test many garments and footwear over the last two seasons, and the main thing that struck me was the degree to which these garments excelled or failed at their intended use. The wearables industry (that part of the industry that caters to fishers and hunters, at least) has upped its game considerably since around 2010, and there’s a huge – and growing – divide in overall quality. The gear I’ve tested most recently seemed to land in one of two categories: it was either poorly designed and/or produced, or it was a standout item. Following are the standout items. 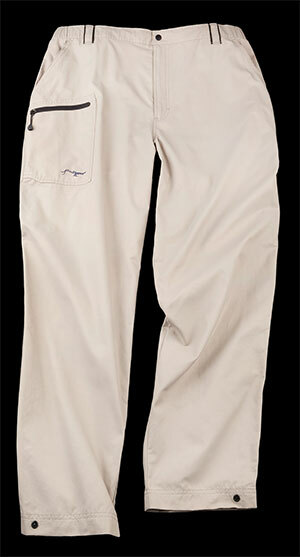 True Flies has been hard at work producing functional, fishing-specific clothes for several years now. Everything they make takes into account anglers’ needs. One thing they don’t boast about (but should) is fabric quality. This is a brand to take a good look at if you’re looking for pants, shorts and shirts that are built to last. After many months of wear (and a little abuse), I can report that their Oyster Creek and Shell Creek lines of pants and shorts are made using near military-grade, 4-way stretch fabrics. Same goes for the stitching. True Flies has set the standard for comfortable, utility-grade shirts and pants that will stand up to anything except barracuda teeth. Hiking gear is, by definition, another one of those all-or-nothing categories. Gear is either up to the task or destined for the discount bin. For many years, Timberland has consistently risen to the challenge of producing and offering standard-bearing footwear (and, more recently, wearables). A good boot is a fishing essential: Mt. 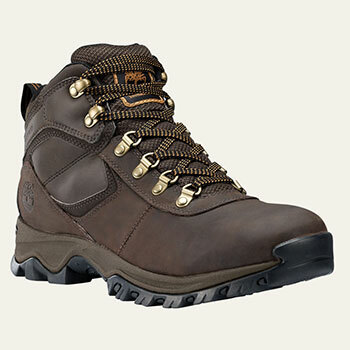 Maddsen waterproof fishing/hiking boots are built with premium full-grain waterproof leather uppers. In addition, a waterproof membrane keeps feet dry in any weather. A hiking boot isn’t hiking boot unless it features Internal TPU shank for torsional rigidity – this one does. Where Timberland went above and beyond with this boot is in the materials selection. A solid weatherproof boot it is, but the sum of the materials make up an unexpectedly light boot. I urge anyone who spends considerable time hiking to lace up a pair, you’ll nearly forget they’re on – especially if you’re used to wearing typically heavy footwear. Throw in anti-fatigue comfort technology and the result is a truly standout item. I asked Timberland to send in one of their signature products. Timberland 3-Eye Classic Lug Shoes are as close to ubiquitous as you can get, the Converse All-Star of the boating set, if you will. After just three weeks of wear, I understood why the product is an icon: it boasts everything you could ask for in a boat shoe, or a dock shoe, or an all-terrain shoe. It features waterproofing impregnated into the leather during the tanning process. They also seam-seal the footwear and use an internal waterproof and breathable membrane to help feet stay dry. Give & take: dock shoes generally feature soles with razor siping, which work very well on skiffs or wet docks, but don’t have the properties that add up to all-day comfort. 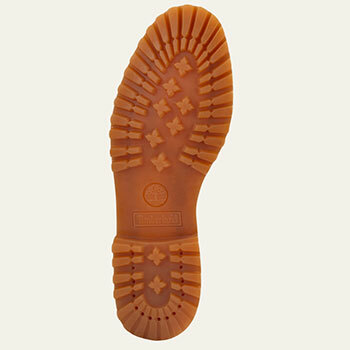 Timberland fitted the 3-Eye Classic Lug Shoes with a sole that works exceedingly well on wet surfaces. It’s a little on the soft side, but not soft enough to wear out quickly, as long-time Earthkeeper fans will attest to. Lugs are aligned along a pressure path to deliver improved traction and longer-wearing performance. The handsewn premium leather upper is stitched to the midsole and cemented to the outsole. Finally, there’s no skimping on materials: they boast a top-tier leather lining and footbed. This shoe has garnered a wide and loyal following, with good reason. Perhaps it’s not the perfect shoe for a formal wedding party, but for anywhere or anytime else you’re good to go. 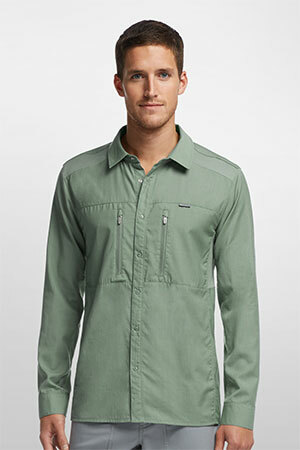 Icebreaker has scored another hit with the ORETI merino shirt. The ORETI gives you three-season comfort and wearability, and one of those seasons is summer. While employing merino wool in a summer shirt may sound counterintuitive, Icebreaker makes this one work with a light-weight weave and mesh sections strategically placed for maximum heat dissipation/ventilation. They also gave it a tailored fit, so there’s no wind flap in a boat. 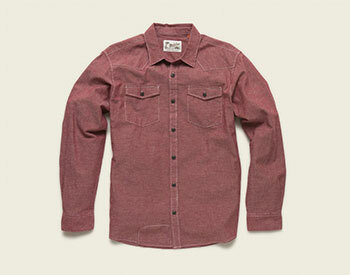 I tested this shirt in mid-day heat and was surprised that merino could pull it off this well. In fact this could be the best performing warm-weather shirt that’s currently available. It’s also one of the best-looking shirts: you’re good to go on windy flats, in a boat, at the dock or the marina lounge. 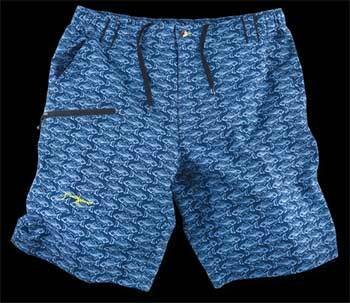 The Oreti is machine-washable and merino is naturally odor-resistant.